A special workshop just for caregivers! 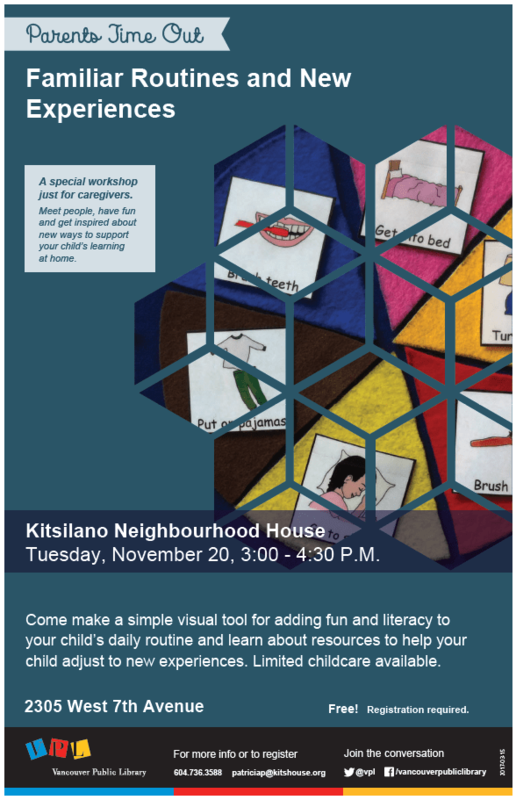 Come make a simple visual tool for adding fun and literacy to your child’s daily routine and learn about resources to help your child adjust to new experiences. Limited childcare available.